I don't know about you, but the category of "most improved airline" doesn't instil much confidence! Photo is from the Jakarta Globe. They're also on Twitter @thejakartaglobe. 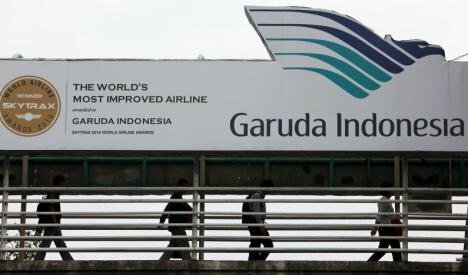 I might just be jittery given the only time I flew Garuda part of the plane's landing gear failed on the tarmac. I was only 2, but my parents long since told me about it and how many people around them were injured. I guess, they have improved! Older post → Trains Ruben Taketh: R21, yet again!